Do you ever have one of those weeks where you look at your schedule and you aren't quite sure how everything gets done? Or maybe you look at your schedule and you realize that some things definitely didn't get done? That is how my life feels all the time since becoming a mother. I felt like prior to William's arrival (about 10 1/2 months ago) I was fairly on top of things. I could get to meetings/appointments early, I was able to get all my grocery shopping done on one day, I could run errands to like 5 different stores, I was able to exercise every day, the list could keep going. Since becoming a mother, my life has really changed. Being responsible for another human, like completely responsible, takes a lot of time and brain power. 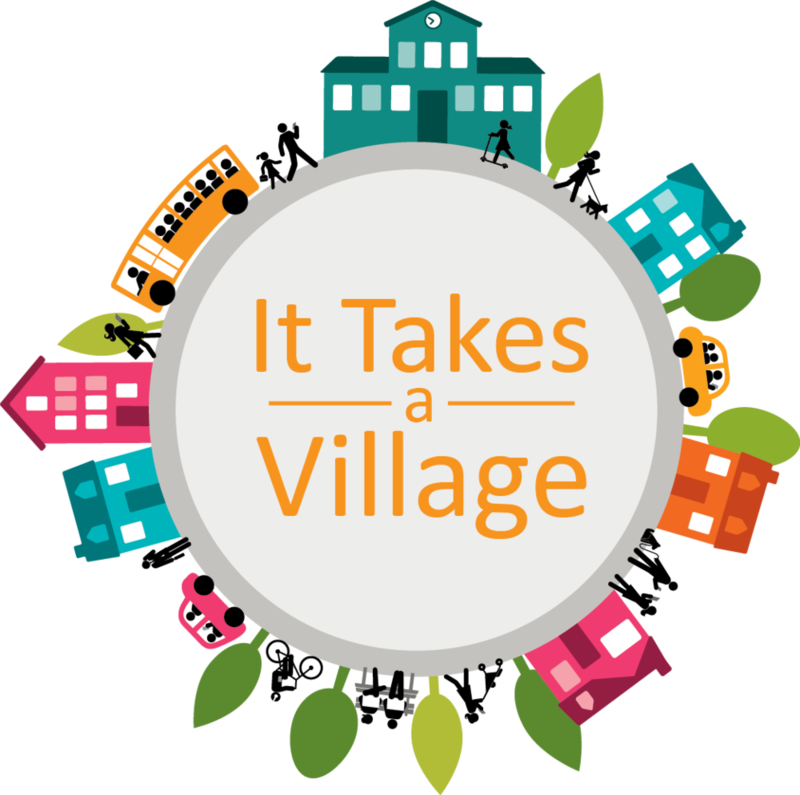 As a working, full time Mom, I know that I wouldn't be able to do what I do on a daily basis without my village. I always heard that "it takes a village to raise a child," but I never really understood what that means until I had my own child. I am so thankful for all those people in my life who have helped me to do my job, and help us with William. Say Thank You! When I think about all of the people that help and support us with our jobs and family I think saying "thank you" more often is important. Taking a moment to pause and thank those people on a regular basis helps to keep those relationships strong. It's Not All About Me. With the craziness of life I feel like I am always count up in what is happening to me and my little family. I sometimes don't the best job about stopping and thinking about other people. To stop and ask them how they are doing. Then remembering to not bring up my own stuff, but to focus on them and really listen to how their day is going. Slowly down, asking and listening are important steps that I need to keep practicing. Helping Others. I feel that I end up getting help with my people around me and I like to remember to try to help others when I can. At this stage of life I know that I am limited in what I can do, but when I see a chance to help others, that is something that I always need to do. I have tried to make sure that I take the time to help co-workers who have feeding related questions, support charities through financial contributions or giving of my limited time. We packed shoe boxes for Operation Christmas Child and that is a fun yearly tradition. So for all of you who are reading this ... you have been helpful and supportive to myself and my family. Thank you for taking the time to read and follow my blog. I have loved being able to provide nutrition/wellness advice via RDAnna. Thank you for all your support with William as well. He is such a great kid and I am so lucky to be his mama.